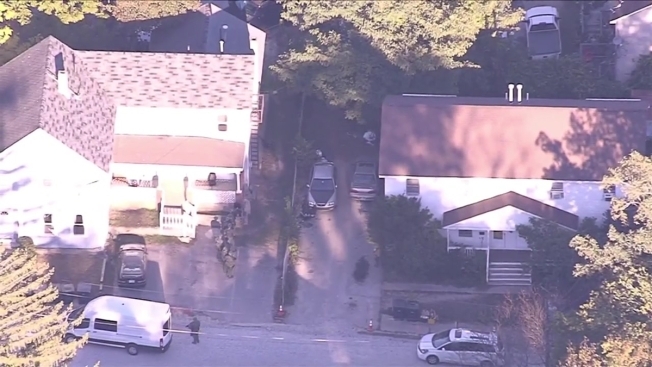 Police are responding to a barricaded subject at a home in a Nashua, New Hampshire neighborhood. A standoff ended Friday night after a man killed himself in Nashua, New Hampshire, according to police. Police responded around 11:30 a.m. to a Beard Street apartment, where a resident said a man in his 20s entered with a gun. The resident, who knew the suspect, was able to flee unharmed. Area residents were asked to shelter in place as officers and a SWAT team spent hours on the scene, with police trying to contact the suspect. Officers reported hearing a single gunshot from inside the home. Police confirmed after 8 p.m. the suspect was found dead from a self-inflicted gunshot wound. Police have not yet released the suspect's identity, and the case remains under investigation.